This semester, the JPL takes you outside for Mathematics, Science and Geography. Beyond the Core syllabuses, there are articles to support teachers to implement the new Technology Mandatory course, as well as Visual Arts for Years 7-12. The edition also includes a spirited reflection on common assessment practices, the possibilities of using play to enhance learning in Kindergarten and Pat Forward makes the case for university qualified teachers in our TAFE system. 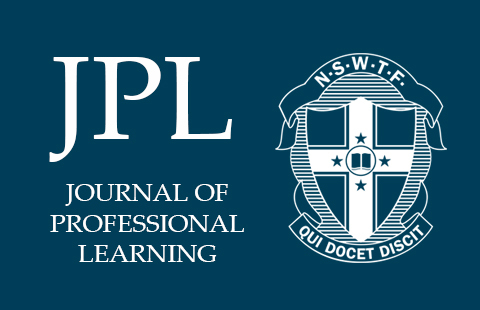 Our collection of high level articles includes Dr. Les Perelman’s critique of the NAPLAN writing assessment and Dr. Ian Hardy’s examination of standardised school-based professional learning.